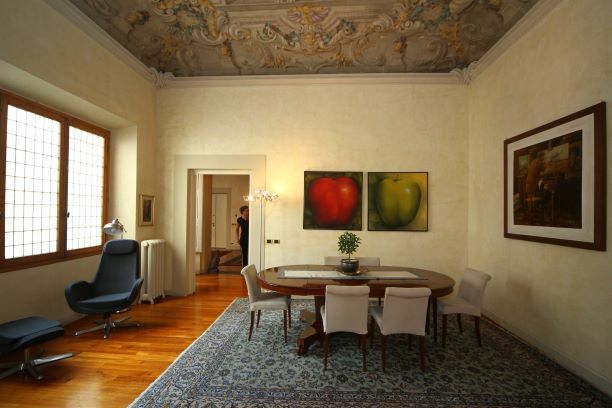 In historical Palazzo which dates back to 1400, the palace maintains ancient architectural elements such as staircase, arched ceilings, decorations and a elegant internal courtyard with renaissance columns that is accessed by a decorative gate from 1800. 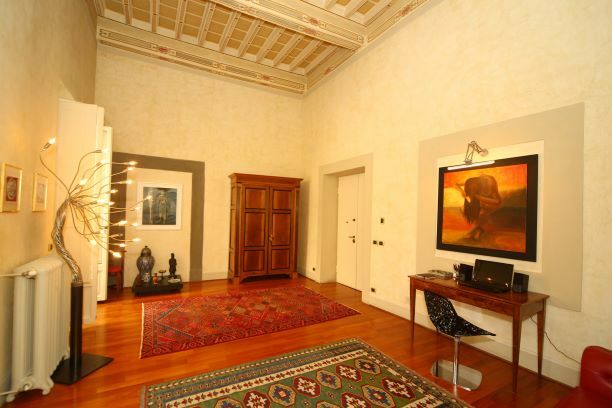 On the noble floor (first floor), accessible with elevator, beautiful apartment elegantly renovated. 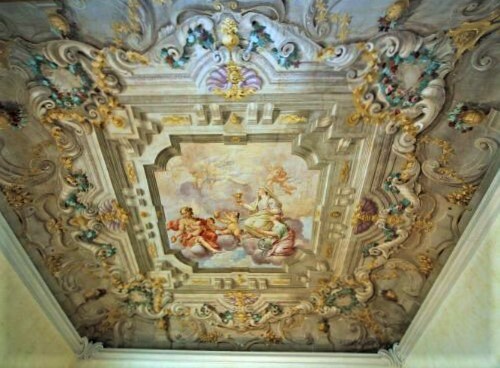 Graceful coffered ceilings which dates back to sixteenth century, frescoes which recently have been restored and characteristic arched windows. The unit is composed by a large entrance hall with a pleasant veranda, spacious reception room, bright dining room, kitchen, master bedroom with grand proportions, marble bathroom, storage closet. Hardwood floors and high ceilings throughout the unit, great finishing details such as doors and skirting boards. Rare item and suitable for representation.